Christopher Mercer, aka Rusko was born in Leeds in 1985 to a musical family. From day dot Rusko was surrounded by music whether it be his families piano’s, guitars, banjo’s and saxophones…or in his later years the heavy reggae and dub sound systems of Leeds, music has always been an integral part of Rusko’s life. After graduating from Leeds university with a degree in musical performance, Rusko discovered the world of Dubstep through SUB DUB and a debut appearance from the “Digital Mystikz”, having spent the past 10 years making future dub alongside Leeds very own Iration Steppas, Rusko connected with the sound and moved down to London to further advance his musical opportunities with Sub Soldiers label mate Caspa. Veering away from the dark, serious side of the sound Rusko bought a highly driven energy and fun approach to the dubstep massive and quickly coined his own take on the genre and turned the scene upside down. His sound appealed to many people outside of the dubstep world as his productions became more adventurous in formula, sound and energy. His huge hit “Cockney Thug” has been played by everyone from Pete Tong, Switch, Diplo and Santogold. And has been remixed by Buraka Som Sistema, Diplo, Drop the Lime and the Scratch Perverts. 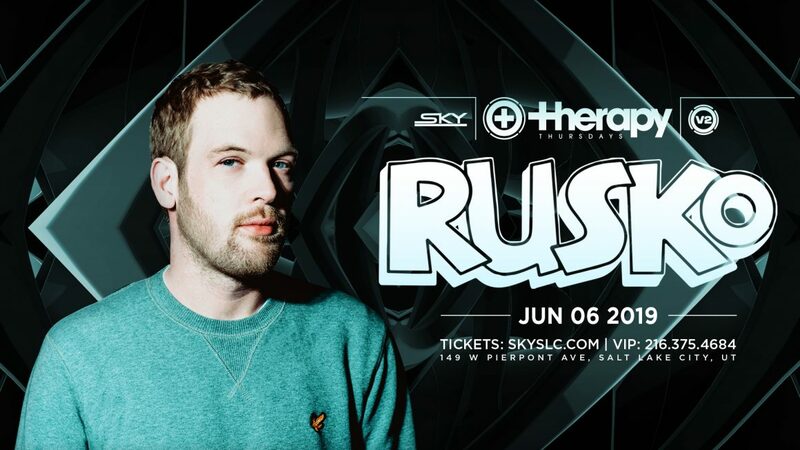 His sound continues to develop with different BPM’s that lean to jungle, house, hip hop or electro, either way, whatever BPM or tempo…you can immediately tell a Rusko track.